We know that sugar, consumed in large amounts, increases the risk of a range of health concerns. A recent study showed that artificial sweeteners may have similar consequences, but through completely different biochemical pathways. Artificial sweeteners may seem like they can be one answer to diabetes and effective weight loss, but looks like they are not the best alternatives to sugar. Today, tens of thousands of products include artificial sweeteners, making them one of the most used food additives in the world. With zero calories, they make diet drinks and low-calorie snacks sweet enough to be enjoyed by even the most sugar-hooked consumers. But, as it is often said, “all that glitters is not gold.” Increasingly, studies are being published that reject artificial sweeteners’ whiter-than-white image. Evidence is now mounting that consuming large amounts of these chemicals could also lead to obesityand metabolic disorders. A host of studies have shown that artificial sweeteners could be harmful for your health. 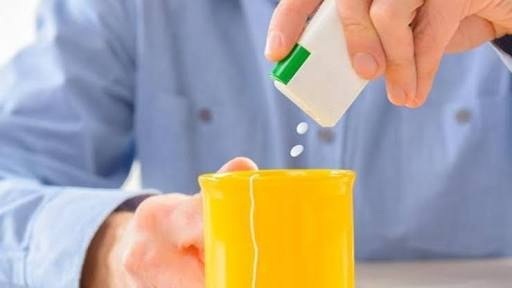 The findings of the most recent study to fling mud at artificial sweeteners.Interestingly, the experiments revealed that sugar and artificial sweeteners both impaired the way that blood vessels worked. Move over artificial sweeteners and sugar; ensure that you use natural sugar alternatives instead. We suggest some amazing sugar alternatives that you can add in your diet. Honey in its purest form makes for an excellent sweetener for drinks and desserts. Since raw honey is unprocessed, it is therefore a carrier of beneficial qualities. Stevia is a herb originated in South America. The leaves are used in the extraction of a natural sugar either in the powdered or liquid form. If you are buying stevia, make sure you check the ingredients on the package. Jaggery or gur is one of the most common and healthiest forms of sugar alternative. Jaggery can be a little high on calories, so it is advised to consume it in moderation.